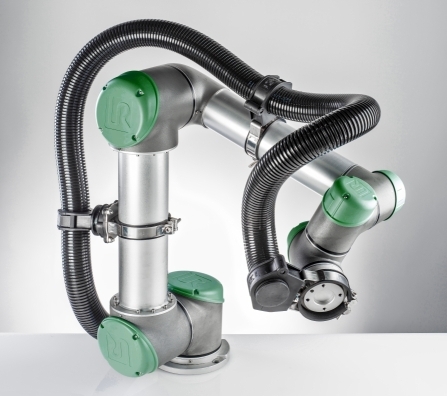 The universal attachments LSDFB and MESUB are particularly suitable for robots where there are no screws, flange or stop surfaces in conventional sense. Both article variants are designed for a specific nominal diameter range of round robotic arms. 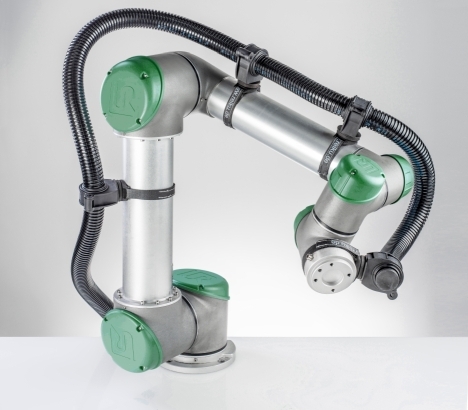 LSDFB: Suitable for easy use at cobots with slow to average movement speeds and low loads. Usually, LSDFB items are passed NW17 to NW29. The console of LSDFB is attached to the robotic arm to prevent it sliding and the turntable allows variable cable management. MESUB: Suitable for heavy use on cobots or industrial and palletizing robots with high dynamic load and high loads. MESUB-articles can accommodate all REIKU gripping clamps variants, from NW 17 to NW 90. The clamp is equipped with a slip-resistant rubber profile made of EPDM. With the hinge pin screw connection very high holding forces can be applied, the universal console allows the attachment of all REIKU gripping clamps. Please turn on sub-title in YouTube ! !